U Bring Change to Mind’s mission is to eliminate the stigma associated with mental illness on college campuses. Through fun awareness activities and a spirit of inclusion and education, U Bring Change to Mind targets both local and national change, and both individual and institutional change. By emphasizing “connectedness” we can change attitudes, generate social support, and put pressure on administrators to improve services, in order to eliminate barriers to care and to fulfill lives. Based on the philosophy of “By Students, For Students,” UBC2M is composed of students committed to making an impact in their campus communities. These impassioned students work not only to reduce the stigma among their peers but also with administration on making policy more accommodating to students with mental health needs. In establishing an undergraduate program, Bring Change to Mind has created something incredibly novel to combat an aspect of mental health that is often overlooked by other organizations. By taking the battle against stigma directly to the students with this program, U Bring Change to Mind is revolutionizing the mental health conversation on college campuses. U Bring Change to Mind is based on science and scientific evidence. This is unlike any program available. Having the social view of stigma embedded in network relationships and not the individual provides a deeper understanding of how to reduce preconceived notions. U Bring Change to Mind targets an entire campus population. While other campus mental health groups exist, they tend to focus on students who have had some sort of interaction or experience with mental health issues. Our program targets all students so that information and stigma reduction can reach people who have no prior contact. By attracting a larger demographic of students, we introduce them to our mission. U Bring Change to Mind at Indiana University is the national pilot to develop a college program. Beginning in fall of 2014, the pilot was launched on campus—creating the student organization and beginning to plan for campus events. Since it's start, the programs at IU have been evaluated and documented to be shared on the national level. The students within our organization work hard to create novel and engaging events and activites, to educate their fellow students on the stigma surrounding mental health issues. U Bring Change to Mind is a program that has come together because of the unique partnership of Bring Change to Mind and Indiana University.The two organizations have helped the program build a foundation and home for the pilot chapter. They share the vision of changing the perception of mental health issues on campuses. 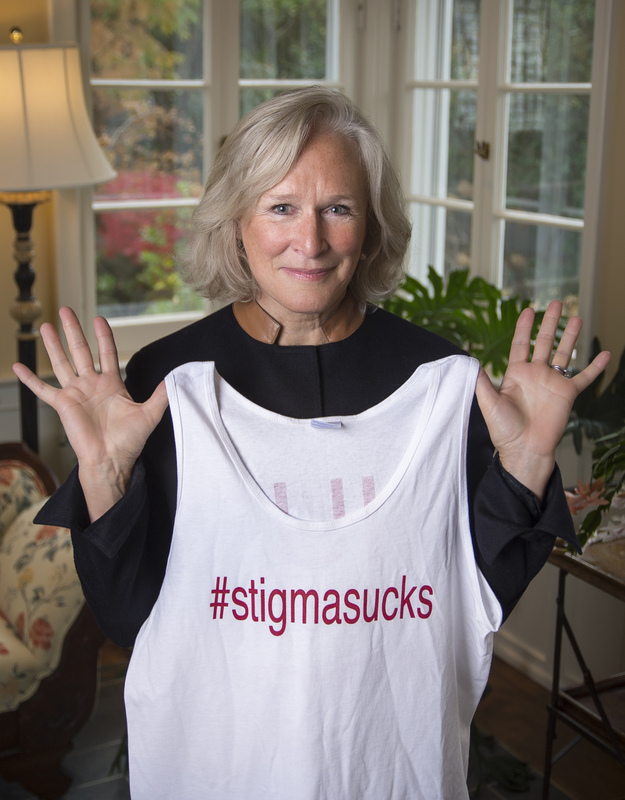 Bring Change to Mind is a national non-profit, founded by Glenn Close, which focuses on starting the coversation around mental health issues—building the awareness, understanding and empathy necessary to inspire action and cultural change. Bring Change to Mind has worked to develop scientifically-based, powerful Public Service Announcements, high school and college programs, and campaigns with other mental health advocates and consumers. They have created platforms to share, connect and learn. Working with the general public, high schoolers and college students, BC2M reaches a large number of people.